Arrival yesterday afternoon in South Carolina with fresh colors on my mind. Green, white and blue were predominant. 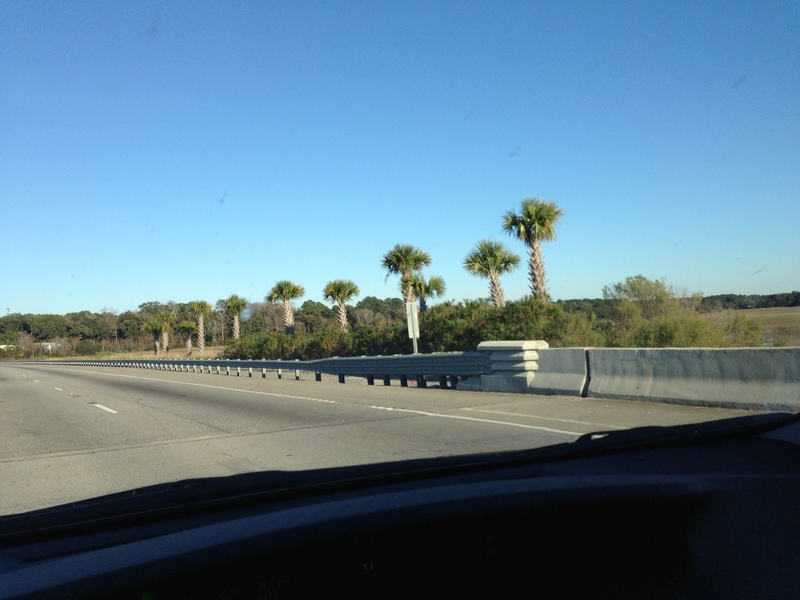 Driving under blue skies, on white concrete roads, over blue waters while green trees stand at attention on both sides of the road. Highway 10 East ended in Jacksonville and turning left on IH-95, I headed north through Georgia, ending in South Carolina. Part of my reconnaissance plan for this trip includes doing things I do at home – like groceries, movies, washing my car and other life maintenance. This morning, car washing was necessary to remove dead bugs on the outside and film accumulated on the inside. 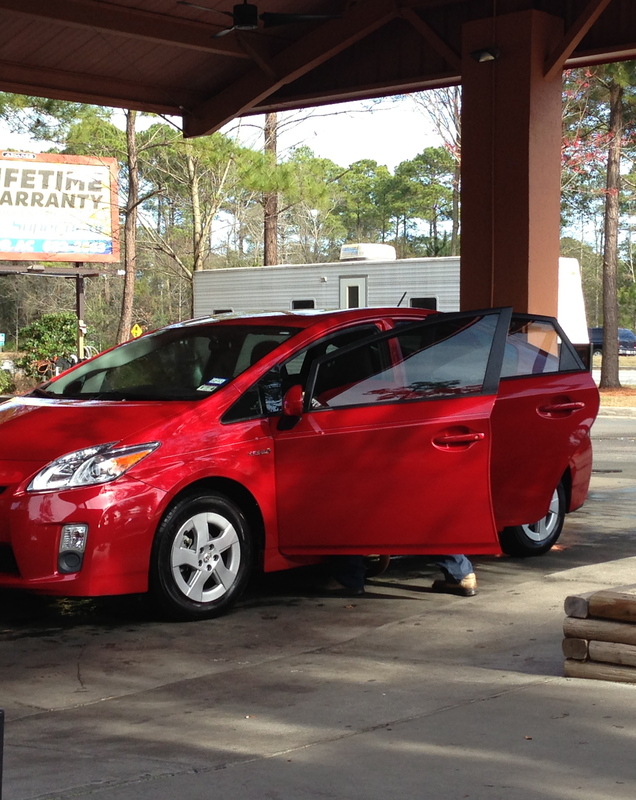 Shortly, the Prius was shiny, vacuumed and I could see out of the front window. 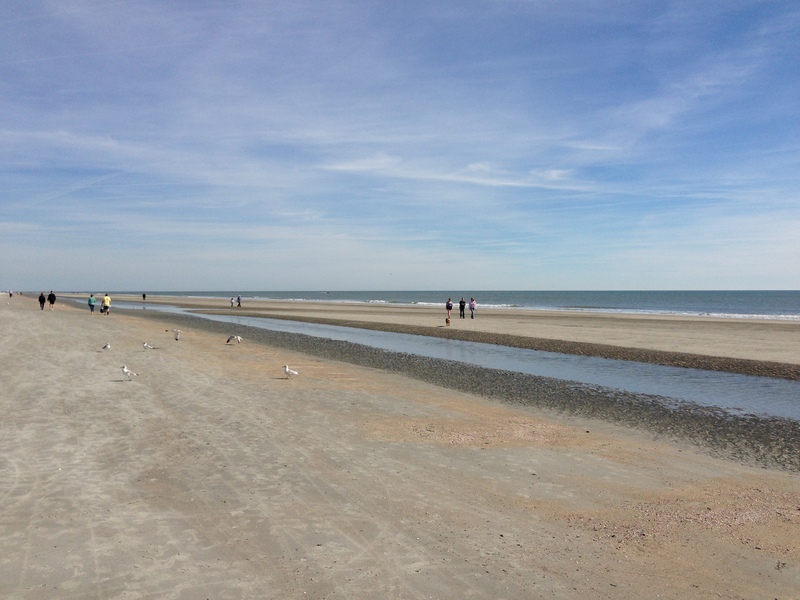 As I drove onto Hilton Head Island, I felt like I was holding my breath, swimming under water. 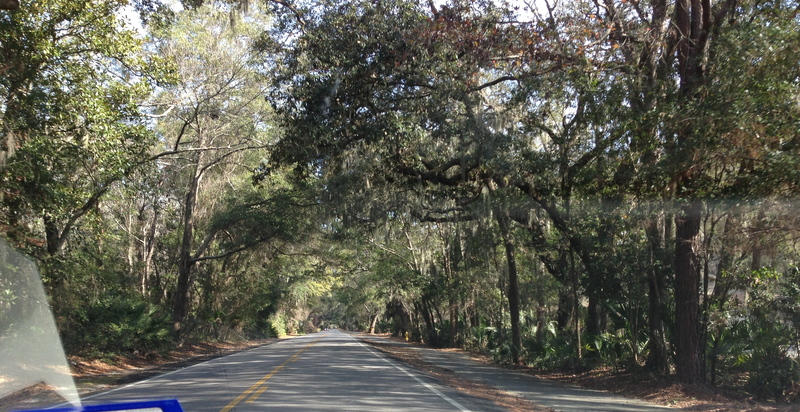 For a woman from the Midwest, used to wide open spaces, the trees, filled with Spanish-moss and mistletoe, were beginning to feel claustrophobic. I was seeking some wide open space. Deep breathes of fresh sea air and regained perspective. The water is a magnet. It gets things lined up. Calhoun Street in “Old Town” Bluffton, South Carolina, is full of historic charm and welcomed me through two wonderful conversations. 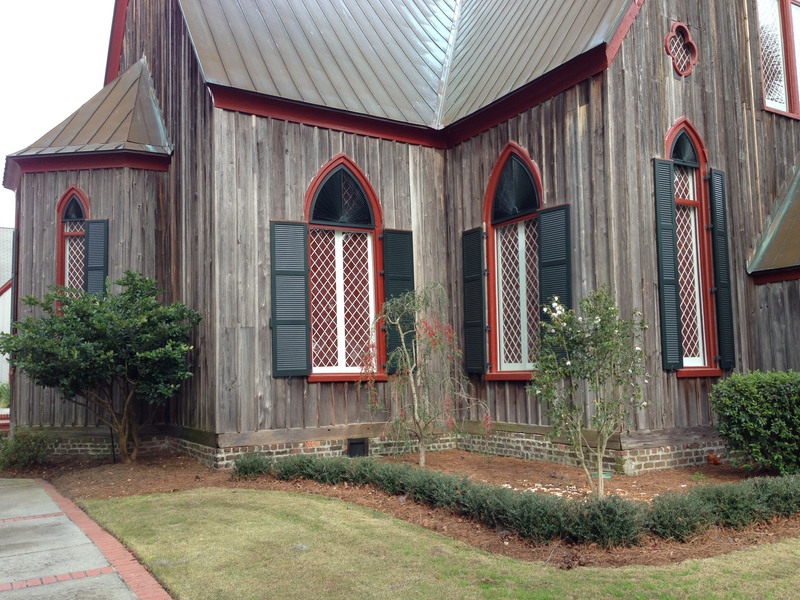 The first was with Walter, who was rebuilding the sea wall for an 1857 church, built of cypress. 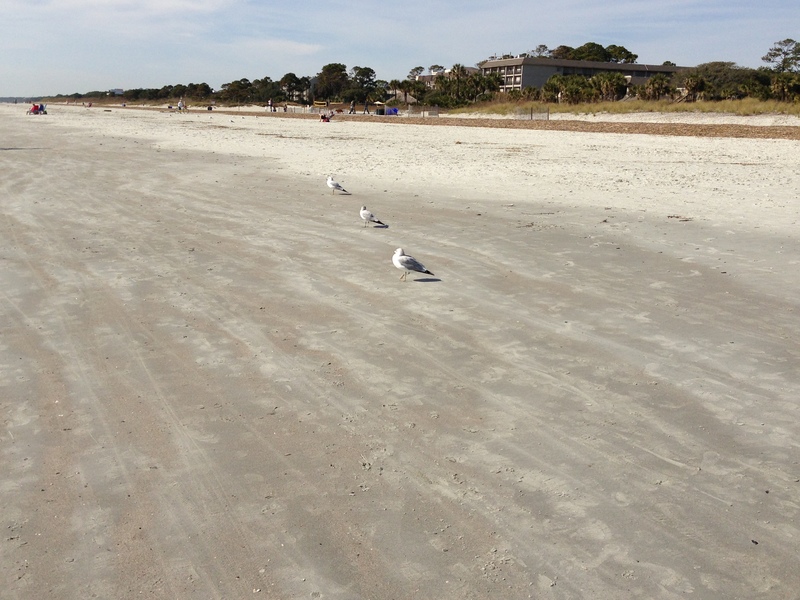 He has lived in Bluffton for 25 years and is an expert at building sea walls and docks. 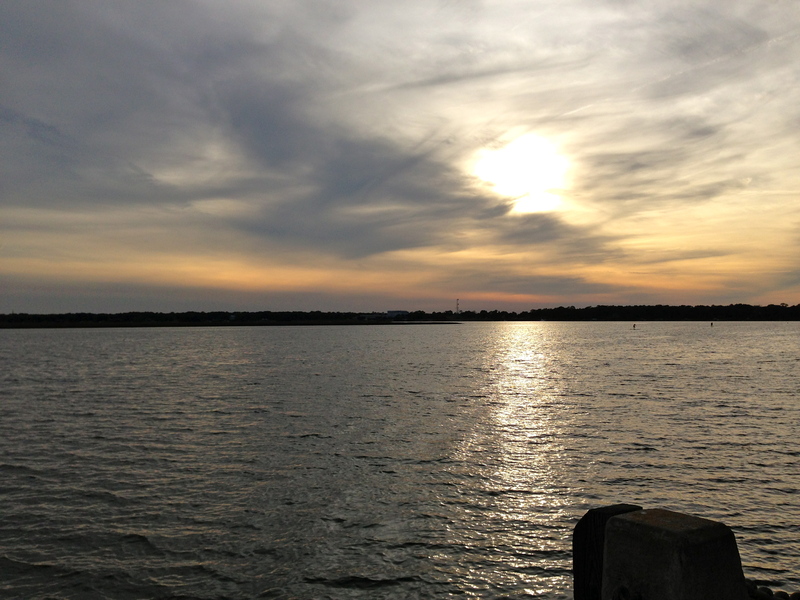 His black lab waited patiently in the backseat of his vehicle while he told me about how to get out to an island and how confederates used the very point in front of us, on the May River, as a lookout. He told me about Charleston, Savannah, his great deal on a riverfront lot when land prices plummeted during the recent recession, and how much he likes living there. Even if things “get old after awhile.” I don’t think the last statement was a comment on the area, but a comment on life. Thanks for the safe travels wish, Walter, maybe I will see you on the flipside. The second, was with Caroll Williams, an artist who was on staff today at Pluff Mudd Art, an artist’s co-op gallery filled with paintings, photographs, ceramics, wood, knitting, collage and assemblage and more. Read about it at http://pluffmuddart.com. 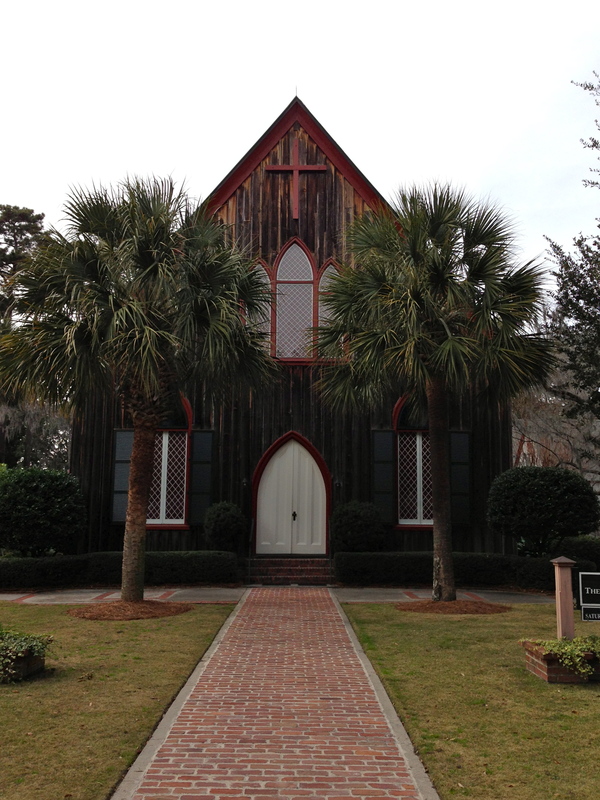 Caroll has lived in Texas, but moved to Bluffton sixteen years ago. Her enthusiasm about Savannah was palpable; maybe a side trip? I liked her work very much; more can be seen at http://www.carollwilliamsart.com. Thanks Carroll for the support of my quest, your suggestions to include on my search and I will let you know where I end up. I have been listening to Daniel Pink’s book, “To Sell is Human: The Surprising Truth About Moving Others” and have both been validated and learned much. Today I am remembering to ask a question instead of making a declarative sentence. Can I see myself here? Where? Loved meeting you yesterday and (just now) reading your blog, Kris! I’ll keep checking back to see how you’re doing. “Drive friendly”, as they say in Texas.